Internet crime is one of the fastest growing areas of criminal activity. It is estimated that 10 percent of all Internet-related crimes are committed in California. As quickly as technology changes, so do the laws. If you have been charged with any type of Internet crime, you need an experienced cyber crime attorney to turn to for advice. The Internet has enhanced our lives by changing the way we work and communicate. What makes the Internet useful (the ability to communicate quickly with anyone in the world) has also opened the door to a tremendous amount of criminal activity. Web crimes continue to proliferate even as laws are put in place to protect victims. No matter what type of Internet crime you’ve been accused of, speaking with an attorney experienced in Internet crime matters is essential to your defense. Both the State and Federal prosecutor’s offices have attorneys and staff who deal strictly with Internet crimes. You need an attorney on your side that is equally knowledgeable of the laws relating to Internet crimes. 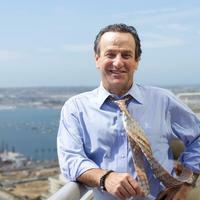 For a free evaluation of your case, call San Diego Internet Crimes Attorney Michael Berg at (619) 239-2186 today.